I got out my Easter bins a few days ago. Why is it that I always think I have way more cute holiday decorations than I actually do – lol? 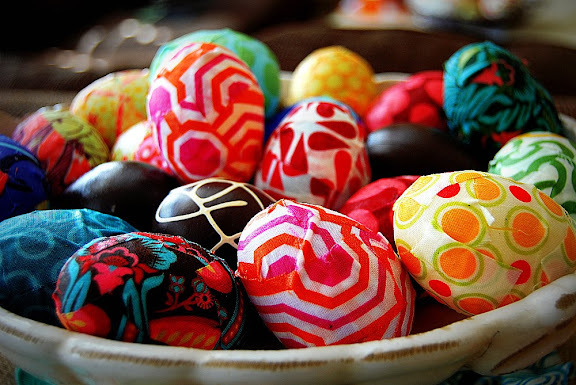 What I discovered is that I have approximately 5 million of those cheap, plastic Easter eggs. So I decided to do something with some of them. 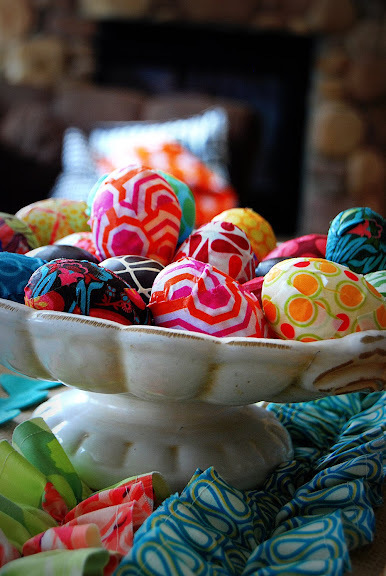 I took my leftover fabric scraps and decoupaged the eggs. 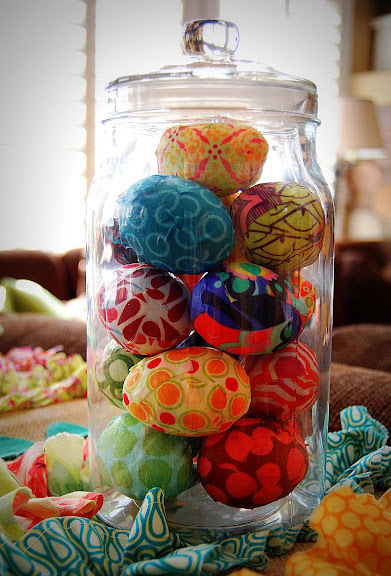 So if you’re like me with a million of those eggs, take some of them and transform them into something that you actually want to keep! First take your eggs and apply some glue to keep them closed. I used super glue. 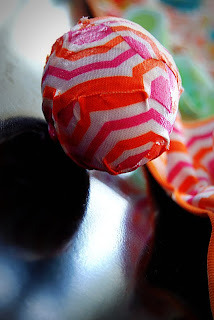 Then take your fabric and cut it into small strips. It depends on how big your eggs are, I cut mine in 1 inch x 4 inch strips. Then I made some cuts around the edges of the material — this will make the material mold to the egg’s shape much better. To save time I cut about 6 layers of material at once into strips, then took all six layers and made cuts in the sides of the strips. 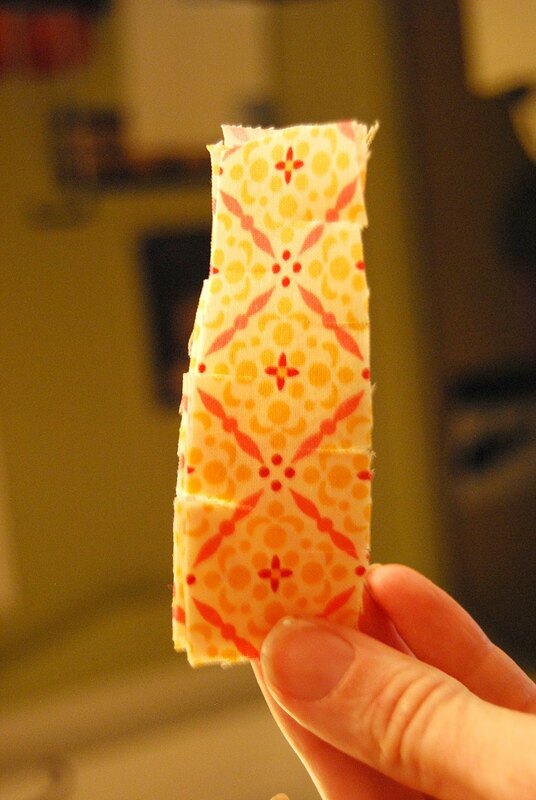 I cut some of the strips in half – 1 x 2 inches to fill in gaps at the end. Apply a coat of decoupage medium to the back side of the first strip, not directly onto the egg. Now lay the first strip onto the middle of the egg, right over the opening. Smooth it down with your fingers. 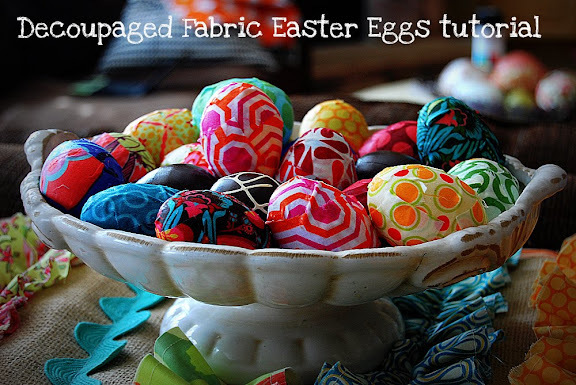 Don’t put any decoupage medium on the outside of the fabric until the whole egg is covered. This will cut down on having your hands covered in Mod Podge. I also kept a damp washcloth right next to me. After each egg I wiped my hands off. 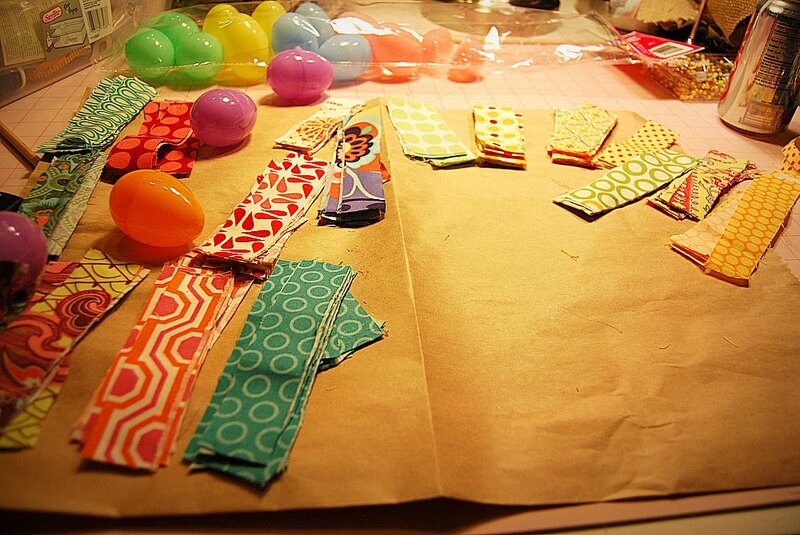 Now apply the next strip of material, making sure to cover the back of the fabric in decoupage medium. I applied the strips to the naked parts of the egg first and then covered up the holes at the end. 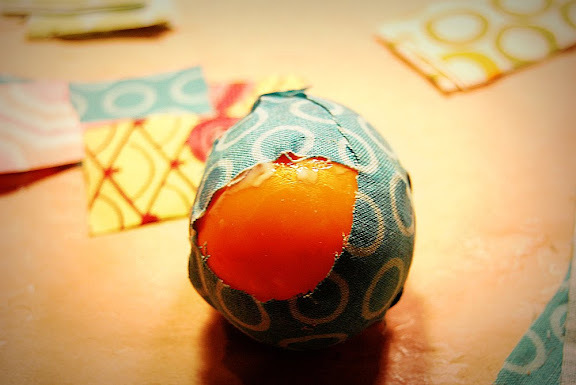 Once the whole egg is covered, smooth down the wrinkles. NOTE: your egg is going to have wrinkles, you are just trying to make it as smooth as possible. 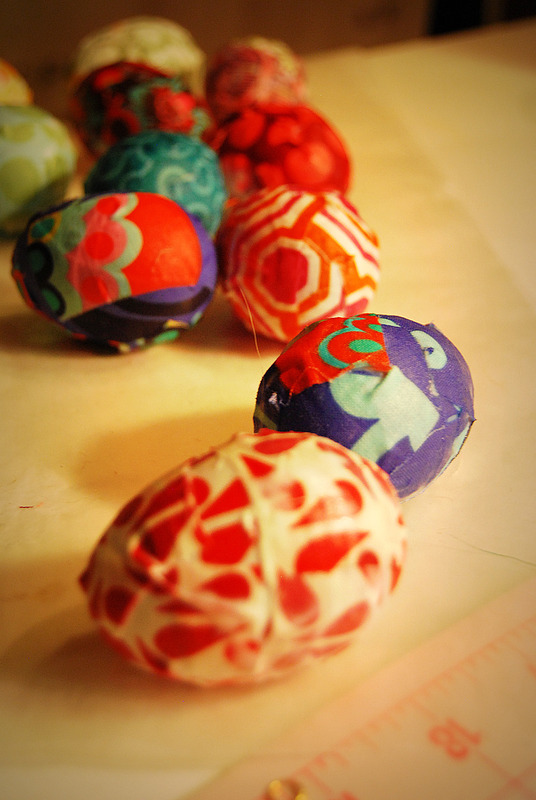 Then add a thick layer of decoupage medium over the whole egg and lay it on wax paper to dry.